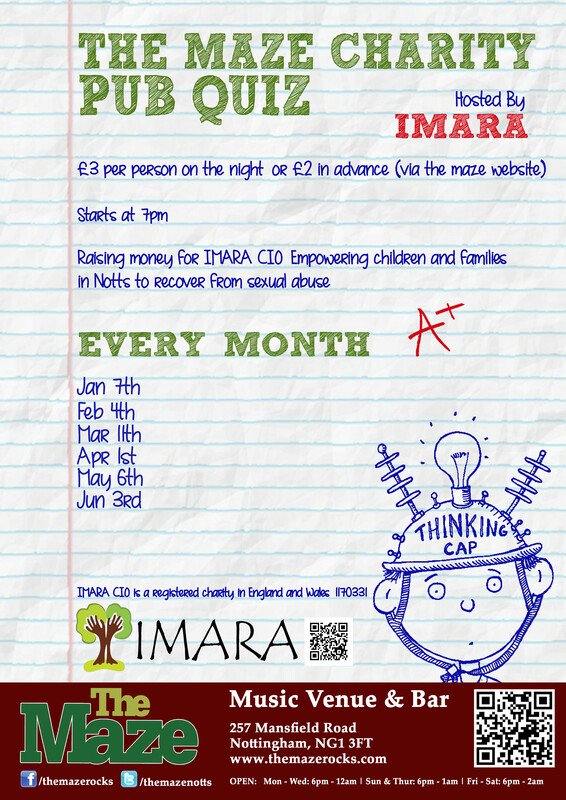 Hosted by and raising money for Imara CIO: Empowering children and families in Notts to recover from sexual abuse. Come and test your knowledge, have a laugh, win some nifty prizes, and all for a good cause! Or pay on the night - just click going on the event page here and arrive promptly to avoid disappointment! 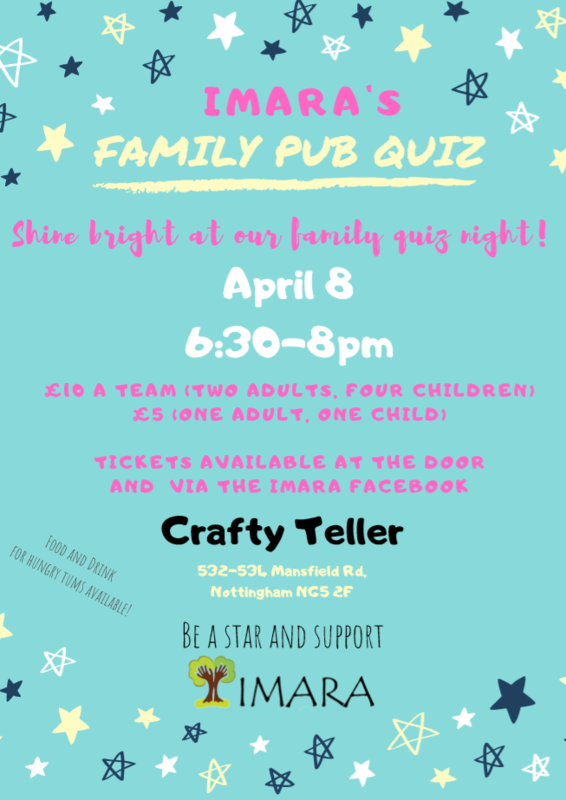 Shine bright at our family quiz night! Food and drink will be available to buy for hungry tums. Tickets available online in advance here or on the door - just click going on the event page here and arrive promptly to avoid disappointment! If you would like to be kept up to date about all of our fundraising events and projects direct to your email inbox, sign up to receive our Supporters Newsletter here. Nottinghamshire’s premier ‘Not for Profit’ boutique family charity music festival. We are delighted that Imara have been chosen as one of three charities to be supported. Set in the picturesque Nottinghamshire countryside, with over 50 acts across 3 stages, a craft tent, children’s activities, workshops, a well-stocked bar, a cheese and cider tent and an excellent selection of food stalls we are sure there is something for everyone. Sunday's theme will be "Summer of Love, don't forget to wear flowers in your hair" to celebrate 50 years since Woodstock Festival. Follow Deerstock on their website and twitter. Tickets on sale now, get yours here.